…and then there’s the day when I actually blow up six eggs because I forget to turn the burner off. Eggs explode! 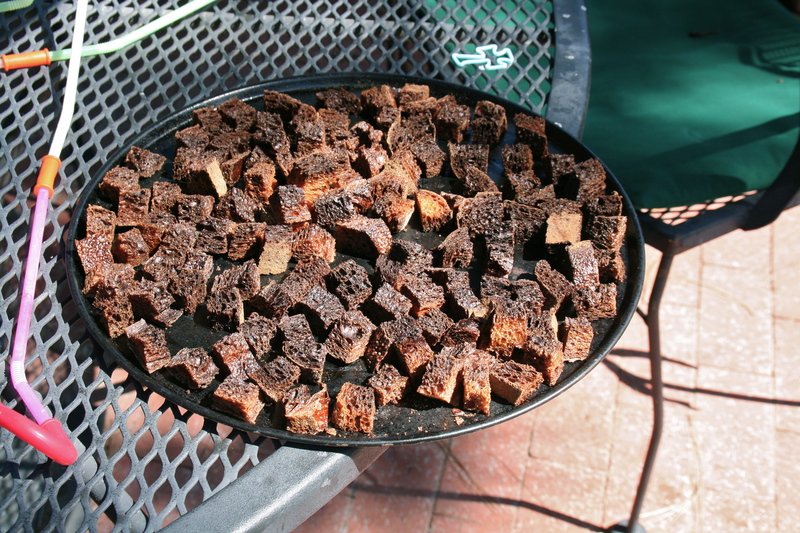 …and the croutons. Things just wouldn’t be all that glorious if we didn’t have our moments of loss and burnt toast. Hope your day is filled with the Bright Side of Things, friends! My son’s godfather was recently diagnosed with cancer. It has been about two months since he began treatment, and the sweet man has kept up his humor and his joyful spirit, but he’s thinner–a lot thinner. 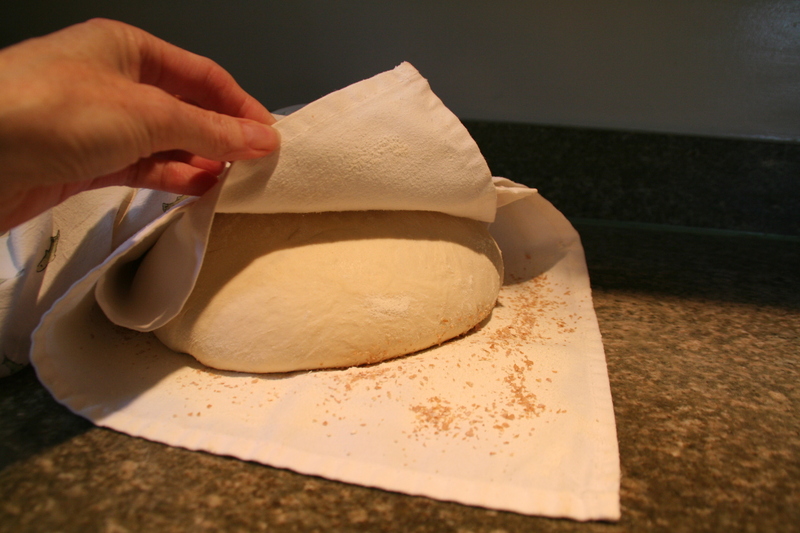 I asked him last Sunday about bread–was he eating any and could I make him some? So I literally raced home, baked some molasses bread and zipped it over to his house. Packed with whole wheat, oats, some butter and iron-rich molasses, I told him that if he could stomach it, I’d bake for him whenever he wanted. Would you cheer him on with me? We love you, Deacon Howard!!! The alarm rang at 5:30 am and I stayed there for a minute, looking at the dark, trying to remember why in the world I was waking so early. Oh, yes! Scones! Scones for the travelers, for the crew of builders our church is sending to Mexico in order to build a home. One home, in one week. With only four hours of sleep in my system, I admittedly triple checked my brain as I measured and mixed. Two teaspoons of baking powder? Yes? Yes. Only a half teaspoon of salt? Yes? Yes. Wait let me think… Yes. Did I really put in the sugar? A short while later the scones were cooling on the metal rack and looking delicious. I was still in my PJ’s when I drove them to Joanne, who would drive them to the church, who would pass them out among the crew. I wasn’t going to write about this round of baking, but it struck me how the underlying theme is so important. The truth is–this team needed a lot of money in order to make building this home possible. And I simply didn’t pull out my wallet. Not because I didn’t want to, but because–right now– we can’t. But I CAN bake scones. There’s always some way a person can contribute to a cause, and this was a gift I could give. An early morning batch of scones, some prayers lifted into the air while the oven performed its magic, and lots of good cheer to send them on their way. If you’re interested in knowing more about Project Mexico and the team of willing builders, check out this video they made a few weeks back, or this one, or this one !!! as they thank some of their donors. They could use your prayers this next week. Sometimes life gets busy and the dough that is rising just keeps on a risin’. I mixed up some sourdough last evening, forgetting that I’d be away all day on a field trip to the zoo with 40 munchkins. When I returned, I didn’t even look in the kitchen, I headed straight for my pillow. The nap ended and here’s when I emphatically said, Oh, dear! heated the oven and a half hour later popped it into a super hot pot. And, voila! Who said baking has to be a perfectly timed, measured and calculated event? And it’s never to late to share when you have a house full of Arizona guests, happy to flee from their summer heat. 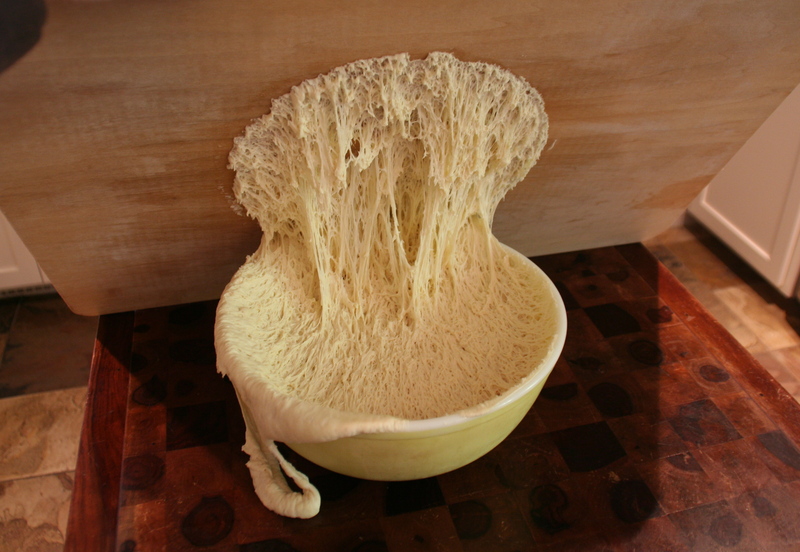 Tonight it will sit all lonely on the cutting board–for the Capo Chef is making pizza. But tomorrow–oh, tomorrow! it will make some amazingly delicious French toast, don’t you think? All through church! a dear friend said emphatically to me after the service. All through church I smelled that loaf of bread! For over twenty years our parish has been trying to build a church on a piece of land here in Santa Barbara. Our city hasn’t been very receptive to our plans, but persistence has won in the end, and the ground has been broken! In an effort to help with the fundraising, our church recently held an event, and I sent out the word to all my children’s book authors and together we donated lots of books, and even an original illustration, to help the effort. Of course, when I donated a copy of The Woman and the Wheat, I also offered to bake a giant loaf of bread to accompany the book–just to add in a bit more fun. My son happened to be graduating the same day as the fundraising event, so I couldn’t attend, but learned later that we raised over forty thousand dollars. 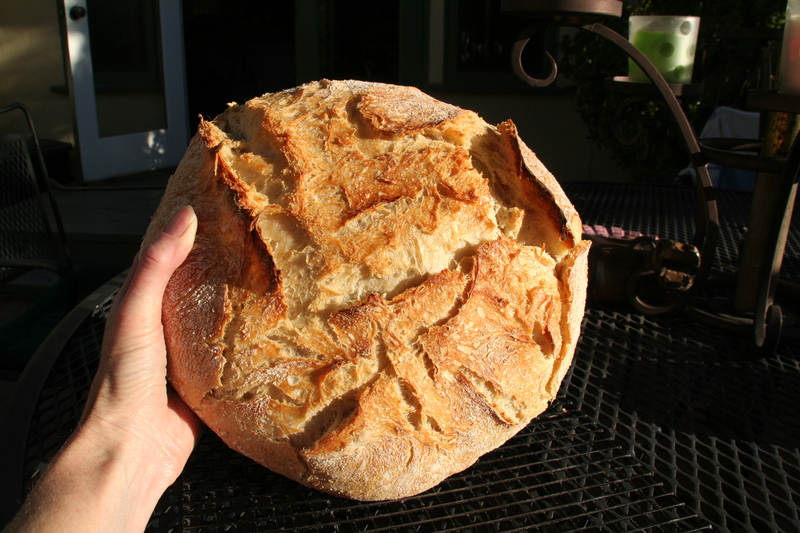 I also learned that a fellow writer bought my book along with the promise of the giant loaf of bread. He came up to me a week or so ago, an enormous smile on his face and said something like, I just couldn’t NOT buy that book, knowing that I’d get some of your delicious bread. 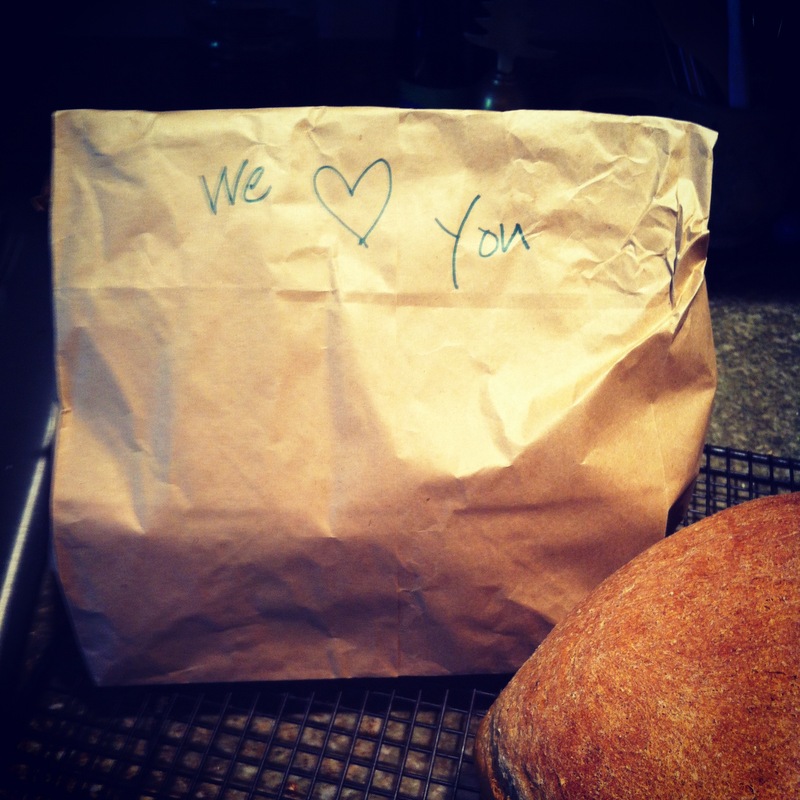 Usually I get notes about my writing, but Richard loves my bread!!! Really. 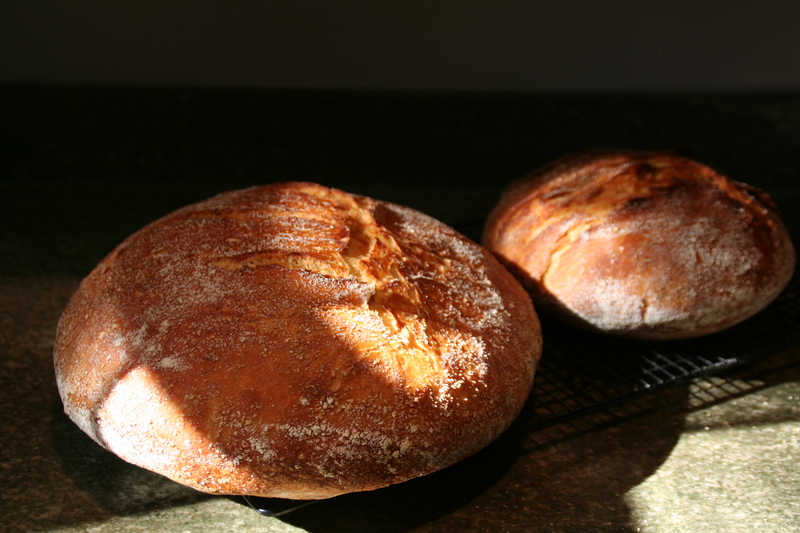 I think every other time we talk, somehow the conversation is turned to bread and all its glory. Anyway, I mixed that giant loaf of bread for him, and baked it off fresh and hot right before church last Sunday morning. I wrapped it in some brown paper, tied it with a string, and placed it under Richard’s seat so he wouldn’t forget to take it home after the service. And there it sat, cooling, letting off that warm fresh bread smell all service. All service. Forgive me! And if my friend, who sat next to Richard, wasn’t such a good baker herself, I think I’d make her a loaf all her own–as an apology. Well, maybe I’ll just bake for her anyway.